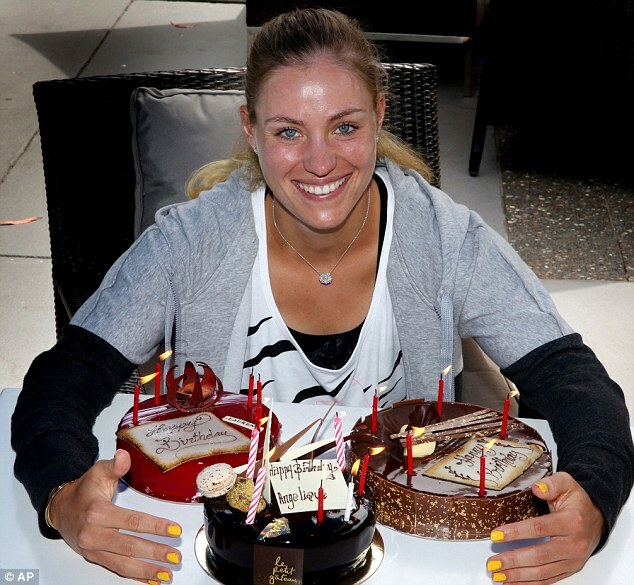 It's Angelique Kerber's 25th birthday today. She described that she had one of the most beautiful moments that she could ever experience on a tennis court on her Facebook. 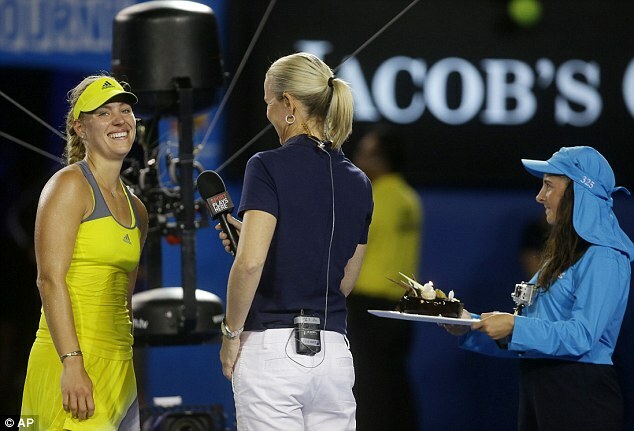 Right after she defeated 17-year-old Madison Keys in the third round earlier today, a cake was immediately presented to her at Rod Laver Arena and the crowd sang her a birthday song.